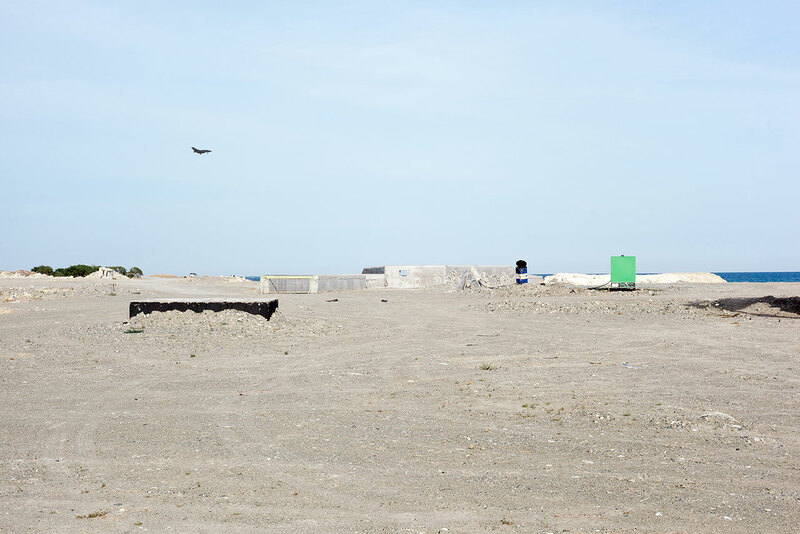 Stelios Kallinikou, Ghost town, 2015, pigment print, dimensions variable, Courtesy of the Artist. 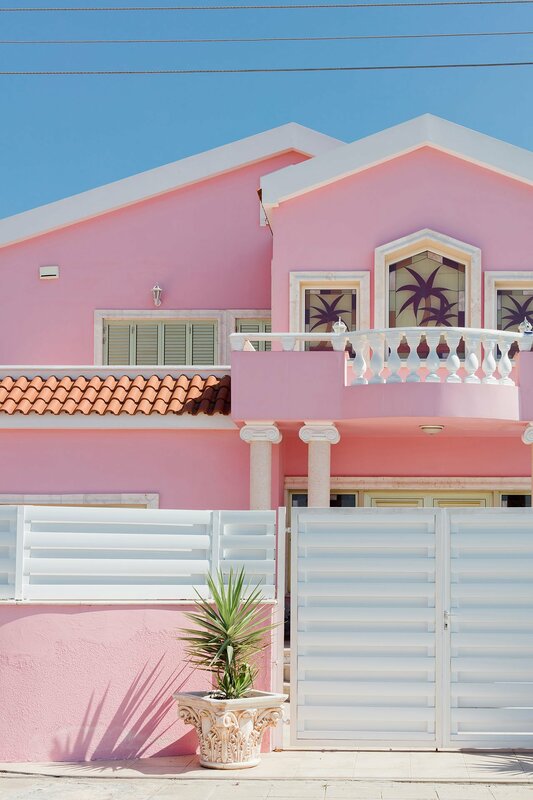 A sense of constant exploration in the realm of national and personal identity permeates the work of Cypriot photographer Stelios Kallinikou, who creates magical and oft surreal images that are nevertheless deeply rooted in the everyday. Born in 1985 in Limassol, Kallinikou originally studied archaeology in Thessaloniki, Greece, before turning to photography and dedicating himself to creating images —although archaeology still fascinates him, as he admits, “on a theoretical level”. 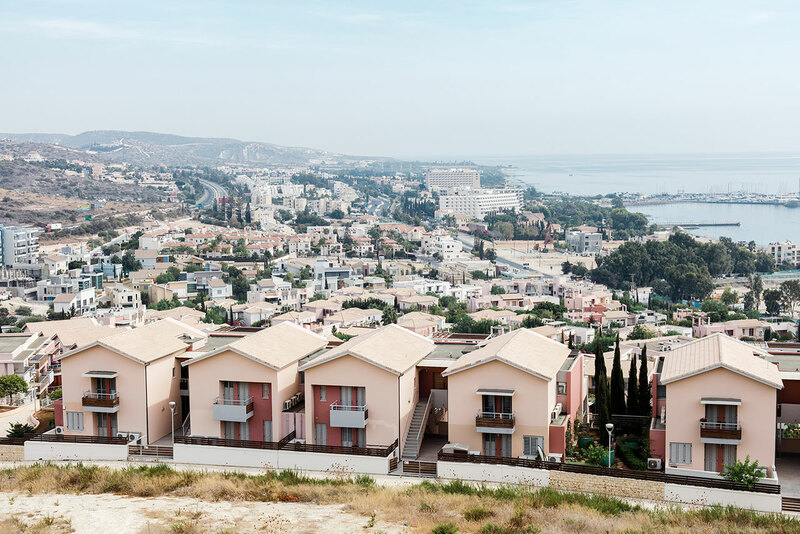 Kallinikou now lives in Nicosia, Cyprus’ capital, where he works as a photographer and co-runs the artist-led project space Thkio Pallies, which he founded with editor, curator and writer Peter Eramian in 2015. 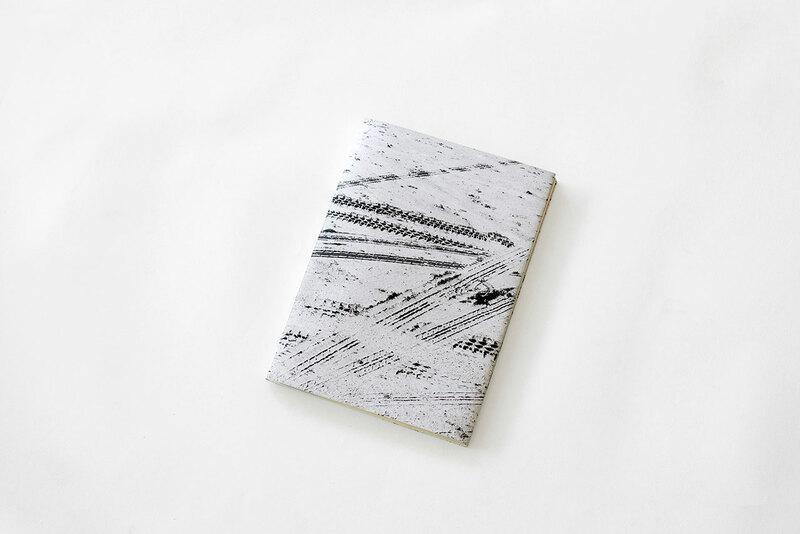 With four solo exhibitions as well as participating in group shows across Europe already under his belt, lately Kallinikou has also been pursuing publishing his work: his first book, Flamingo Theatre, was published a few months ago, with a second book already underway. 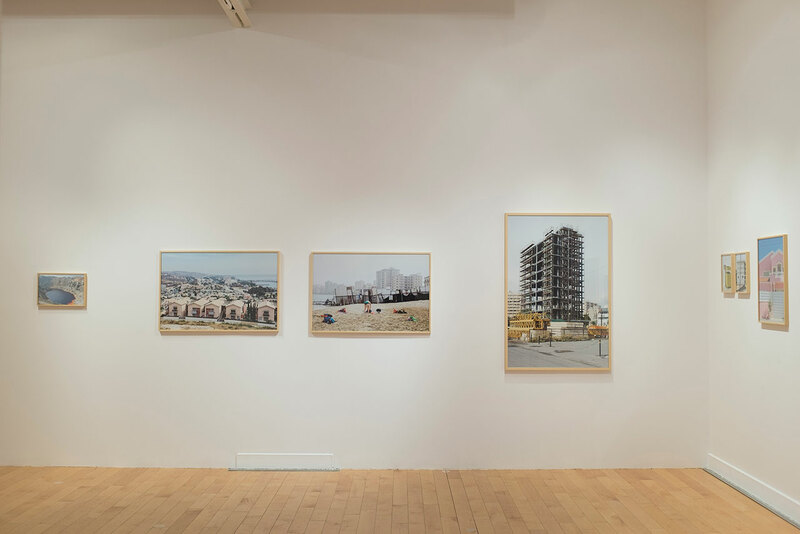 On the occasion of his participation in The Equilibrists, the DESTE Foundation’s 33rd-anniversary exhibition in Athens at the Benaki Museum, Kallinikou talks to Yatzer about his passion for photography and how Cyprus has been influencing his work. 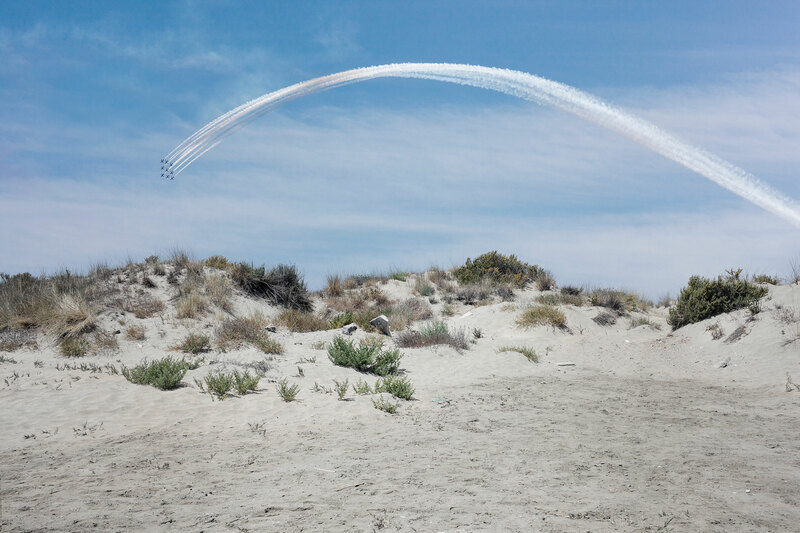 Stelios Kallinikou, Red Arrows rainbow, 2015, dimensions variable, Courtesy of the Artist. Stelios Kallinikou, Stones, 2015, pigment print, dimensions variable, Courtesy of the Artist. 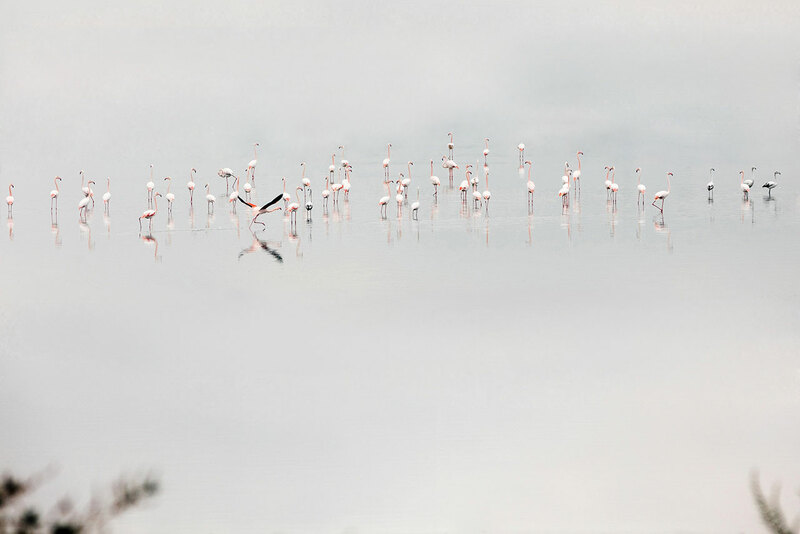 Stelios Kallinikou, Flamingos, 2015, pigment print, dimensions variable, Courtesy of the Artist. When did you start taking photographs and what was your first “subject”? I began taking photographs whilst I was studying History and Archaeology at The Aristotle University in Thessaloniki, Greece. It was around that time that I first saw a photograph of Edward Weston’s celebrated peppers. I vividly recall how that picture totally captured me. The delicate use of light, the simplicity of the composition, his keen eye; all these literally put a spell on me and I decided to start working with photography. After my first experience I became obsessed: I manically started to photograph everything. There were days, for example, when I was out in the streets taking photographs from the morning till late in the afternoon and I would continue through the night from the balcony of my student room. I photographed my neighbours' windows during complete darkness from the uncovered corners of the block of flats where I was staying, and would write fictional, poetic stories about who I thought lived there and how that person lived. That in a way constitutes my first complete project. Stelios Kallinikou, Landscape II, 2015, pigment print, dimensions variable,Courtesy of the Artist. 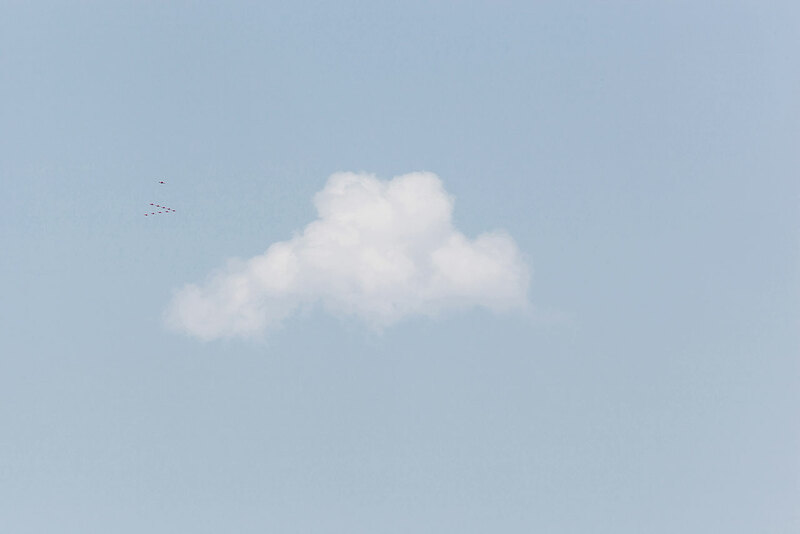 Stelios Kallinikou, Cloud, 2015, pigment print, dimensions variable ,Courtesy of the Artist. 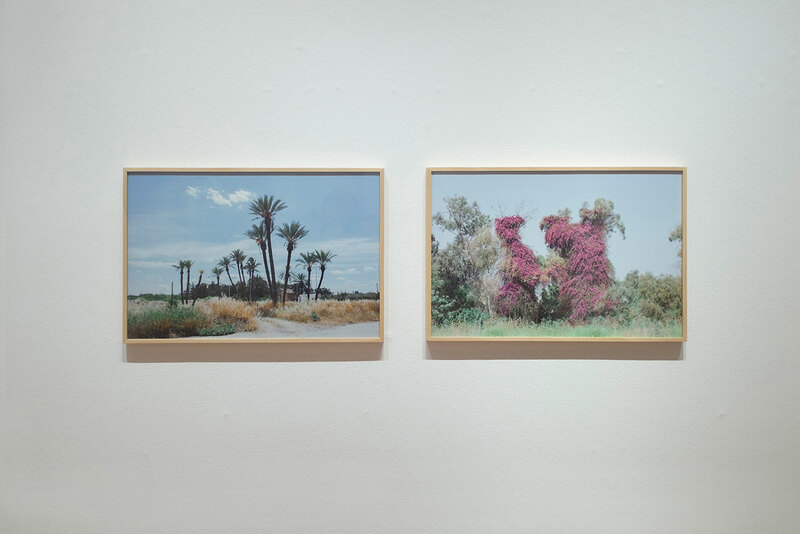 Flamingo Theatre, Thkio Ppalies Artist-led project space, Nicosia, Cyprus, Installation View. Do you speak through your photographs? Is it your intention to tell stories through your work? Or do you prefer working in a more abstract way? My aim is to conjure up a space that is beyond words. I’m not interested in talking about this or that thing or narrating a linear story. There is of course the arousal of thoughts when we meet an artwork; as thoughts depend on words, speech is always there but I want my audience to start thinking from a place that is beyond words. 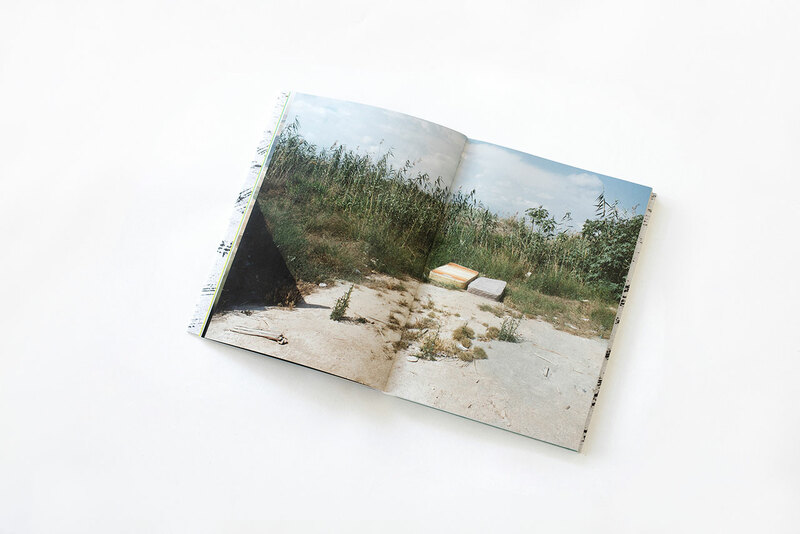 Stelios Kallinikou, Flamingo Theatre publication. You’ve just published your first book, Flamingo Theatre. What drew you to Akrotiri, Limassol, and what sort of discoveries have you made there? Akrotiri is a multidimensional and peculiar area with many elements. To start with, it is a British sovereign military base so there is a military action aspect (the British Parliament recently allowed the base to be used in operations against ISIS in Syria). At the same time, there is Limassol's salt lake which is a very important wetland habitat in the southeast Mediterranean where thousands of migrating birds, including Greater Flamingos, shelter during their migration journey. Then there’s Lady's Mile beach with its holiday makers, as well as Cyprus's largest port. All these different identities coexist within a very small space, creating a weird crossover of synergies and antinomies. I saw the area as a huge theatre stage, on which small and big tragedies unfold. 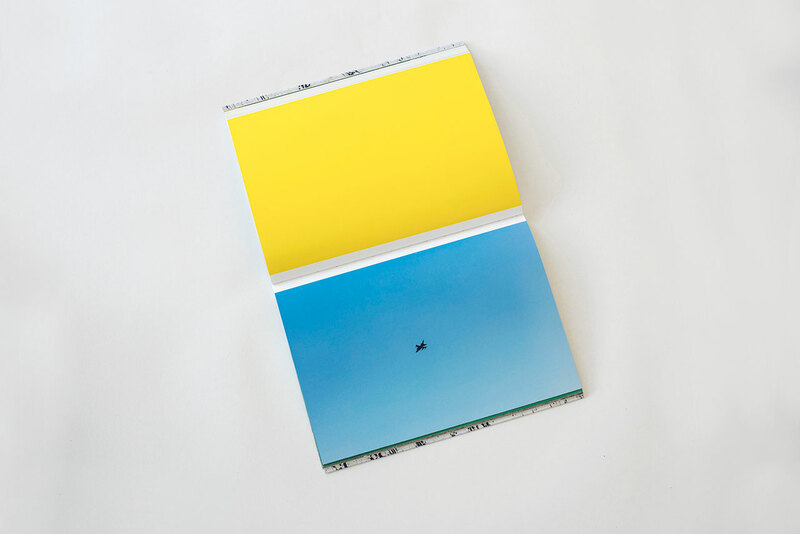 I created an abstract narrative where one encounters a poiesis and beauty that coexist with tension and geopolitical interests —where children's games exist alongside war games, in an allegory that develops through the interplay of reality and imagination. Stelios Kallinikou, Bricks, 2015, pigment print, dimensions variable, Courtesy of the Artist. 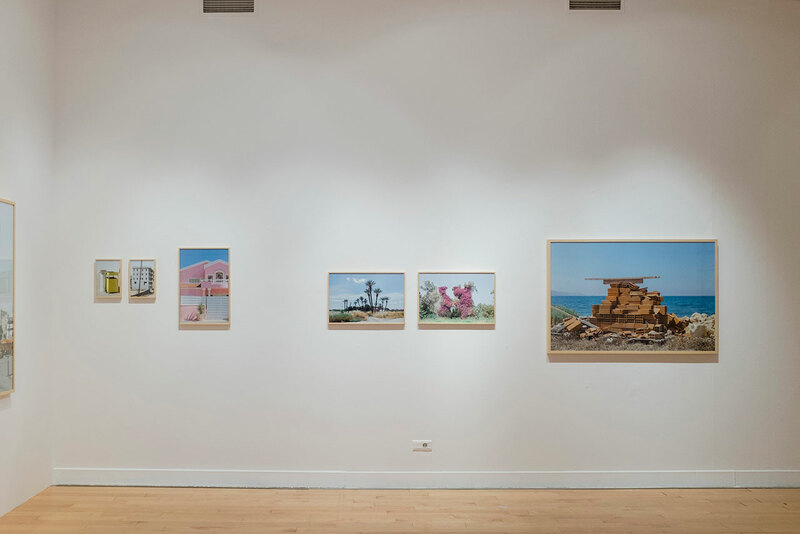 The Equilibrists, Benaki Museum, Athens, Greece, June 17 – October 9, 2016, Installation view. Culturally speaking, do you think that Cyprus is closer to the Middle East or to Europe? I think Cyprus exists somewhere in the middle. Acceptance and working with this dual reality will allow us to explore and understand the grid of our own identity. 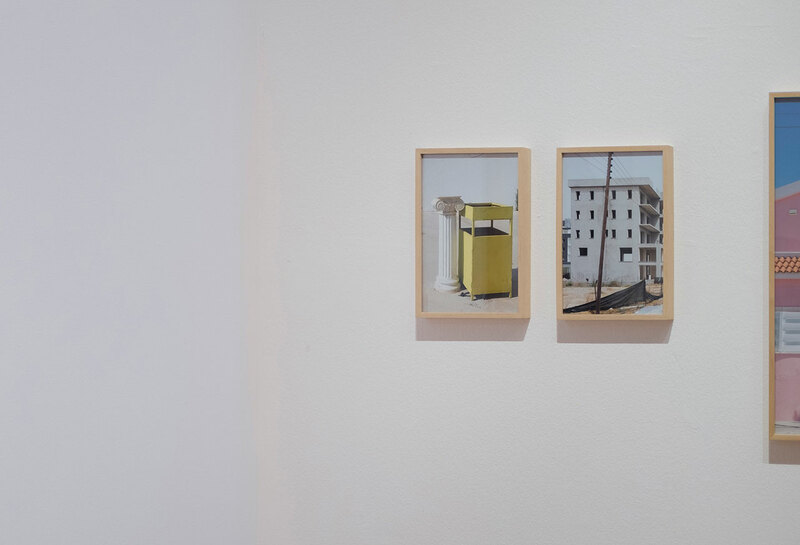 A part of your most recent work (Local Studies) is now on show at the Benaki Museum in Athens as part of The Equilibrists exhibition. Where have these photos been taken and what is the theme or idea behind this new series? Local Studies is a series of photographs that includes pictures from both the northern and southern parts of Cyprus. As such it bypasses the separation as it has been established by the Green Line, and attempts to read the space as a unified whole. The landscape as a result of our collective action becomes the vehicle for thought on the fundamental issues related to human nature. 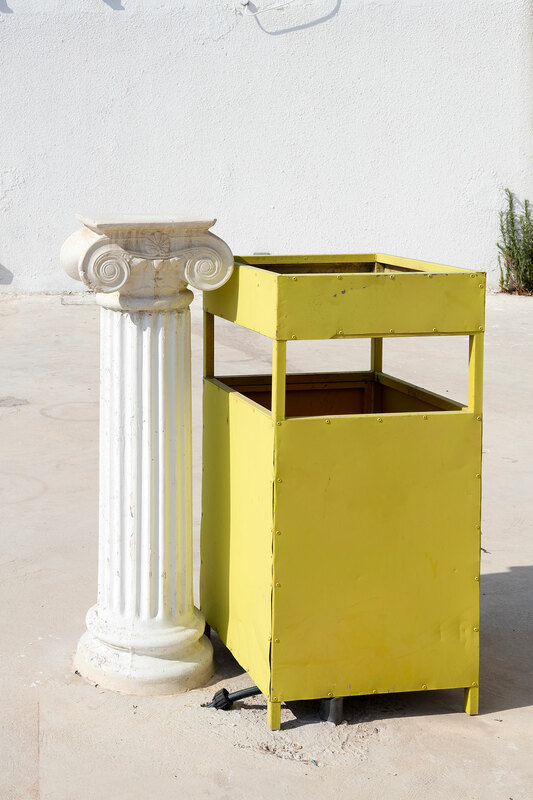 Stelios Kallinikou, Yellow, 2015, pigment print, dimensions variable, Courtesy of the Artist. When did you open Thkio Pallies with Peter Eramian and what kind of events and activities do you host there? Thkio Pallies was created around a year ago. It is a project space, located in the centre of Nicosia and its activities include a wide range of practices and creative actions that fall under the rubric of contemporary art. 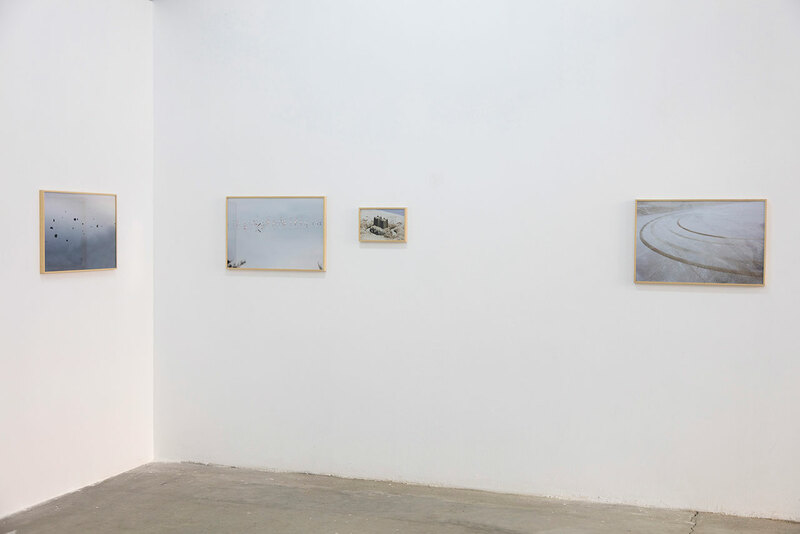 So far, we’ve presented six solo exhibitions, a group show and two sound installations. The public has responded positively to our endeavours, creating a vibe that makes us very happy and giving us the strength to continue. Despite the short amount of time in which the space has been open, we’ve cultivated a robust audience which is constantly growing, and is slowly becoming part of the creative process itself! Are you currently working on a solo exhibition or some other project? From a personal perspective, I am currently preparing my portfolio as I have been nominated for a very important photography award. My objective in regard to Local Studies is to present a solo exhibition and a publication. Right now the most important thing is to put the finishing touches on the work and the rest will follow! I have also started working on two new projects, but it's still early days. Meanwhile, Thkio Pallies is preparing to showcase an exhibition by Faysal Mroueh in September. He is already working hard in the space. We’re also going to be hosting the launch of 'Honest Electronics' record label, on July 28th.